Dr. Hess Udder Ointment is a fantastic, moisturizing lotion that has been around for over 100 years! This moisturizing lotion is a nice thick cream that soaks in and gives complete moisturizing. It is not thin at all, and will take some time to soak in. It is a little bit greasy at first but once it soaks in, you won't feel any residual, just nice soft skin. My older boys actually had a season where they milked milk cows in the morning before work. There was a cream that they used on the udders of the cows who were struggling with clogged ducts or infection and it worked wonders for the cow. This ointment from Dr. Hess seems to have some very similar properties. It has a very similar smell to what the boys' hands would smell like after they used it at work. A hint of mint that isn't overpowering like some achy muscle creams, but rather just enough that you know the mint is helping in the moisturizing. This press release below has some really fantastic information about the Dr. Hess Udder Ointment products. Simple. Goodness. These two words succinctly sum up the "udderly" revitalizing formula that composes Dr. Hess's Udder Ointment. This remedy for dry cracking skin, eczema, and more has been a favorite from farmers to city dwellers for over a hundred years, and will soon become even more accessible thanks to its coming debut at Walmart in mid October. When the dishes are done and the dish towel is hung up, it's time for folks to take a minute to relax and refresh themselves with Udder Ointment's light, non-greasy formula. This proprietary blend is composed of thirteen moisturizers and softeners as well as blood circulating and oxygenating ingredients that work to hydrate the skin, mend chapped and cracking areas, and help heal cuts and abrasions all with a pleasant hint of mint and appealing packaging. 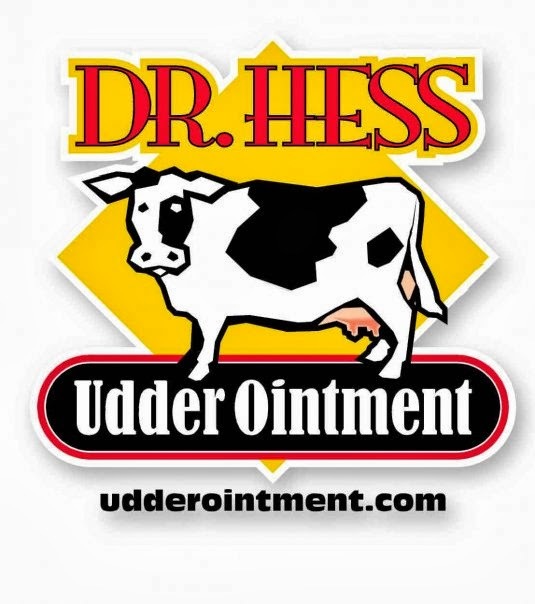 Dr. Hess Udder Ointment has been the go-to moisturizer for people of all ages since Dr. Gilbert Hess and business man J.L. Clark teamed up in 1893. Through the years, Udder Ointment came under various ownerships until finally returning to the family with great granddaughter of J.L. Clark, Polly Clark Tribe and her husband Tyler. Tribe listened to fan’s rave reviews and sadness after its disappearance from the market in 1999, and decided to resurrect Dr. Hess’s line of Udder Ointment in 2008. Dr Hess Products are once again being sold nationwide on amazon.com, overstock.com and directly from their website at www.udderointment.com. They will also be carried in over 1500 Walgreens in September stores and will soon be launching at Walmart in October. Be sure and check out your local Walgreen and Walmart for this great product! Want to try a 2oz Udder Ointment and 1 Udder Stick? I am sharing my samples with you to spread the word! I would check out the Bull balm for my husband. I like the Lip Balms. Havent seen them in the store yet...but the flavors sounds great. My hubby would love to try this Dr Hess Bull Balm for Men., for his dry hands and cracked heels.. I would like to try Dr Hess Foot Cream.